Summer weddings are around the corner meanwhile every female is confuse in deciding which color to choose for her wedding dress as every lady wish to look elegant and glamorous on her big day. Summer is the hottest of four seasons so the dress you choose should be lighter in color so that it absorb less heat. From bride to bride’s maid every lady go for trendy cool colors on weddings. When it comes to wedding dress or theme color the light shades are the best option as they keep atmosphere cool by reflecting most of the sun. Wide range of color options are available for summer wedding dresses blush pink, vibrant purple, blush and ivory, navy blue, mate blue, sage green, soft peach and many more. Where there are variety of colors, there is unique range of styles too such as: ball gown, trumpet, sheath gown, A-line gown, mermaid and so. Although according to wedding organizers and stylist many female prefer sheath gown or A-line gown for summer wedding. Weddings are the occasion where all eyes are on you and your looks for which your dress’s color and design plays an essential role so you need to choose what maximize your beauty, what style flatter and enhance your body curves and grace in summer daylight or color that highlights your feminine curves so you’re confident. To help you out we have enlisted below the various stunning colors so you can choose the color which suits you the most. This green shade is a symbol of nature and greenery which gives you classy feminine vibe on wedding. 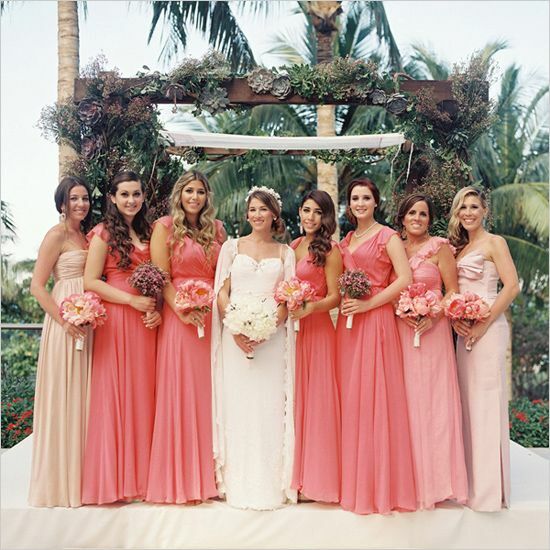 Soft peach color is absolutely glamorous for outdoor weddings. Short dresses are preferred more in summer’s weddings and the royalty of this color adds charm to your wedding dress. 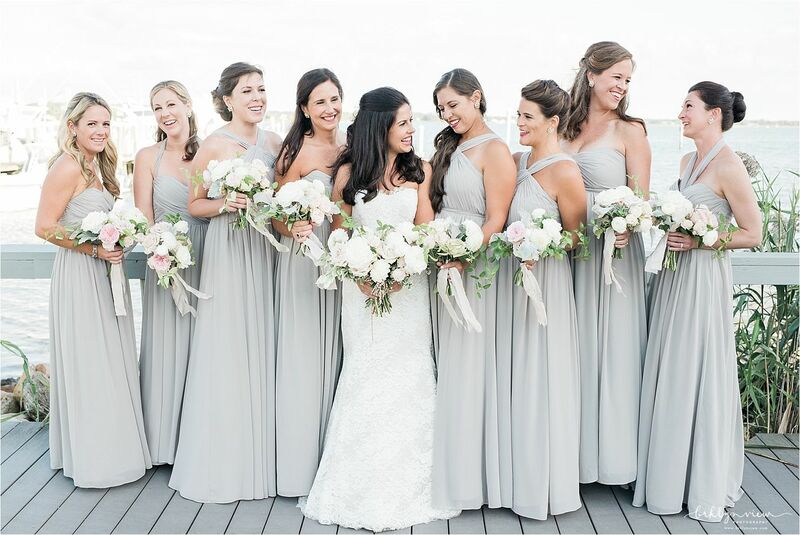 Dusty blue color brings freshness, coolness vibe on wedding in daylight. It is one of the perfect option for summer weddings due to its pleasant sensation. This beautiful color for summer wedding is the symbol of brightness, full of life. It is a color with softer toner which gives the cooling effect. The royal color of the season which never gets old, it’s the official and traditional wedding color which is great for all seasons. The classic shading of this color brings feminism appeal which makes it super unique. Another color of the summer wedding season that never goes out of fashion and is known throughout the wedding seasons for it innocence and delicacy. This brings the little royalty touch and perfect for summer wedding. 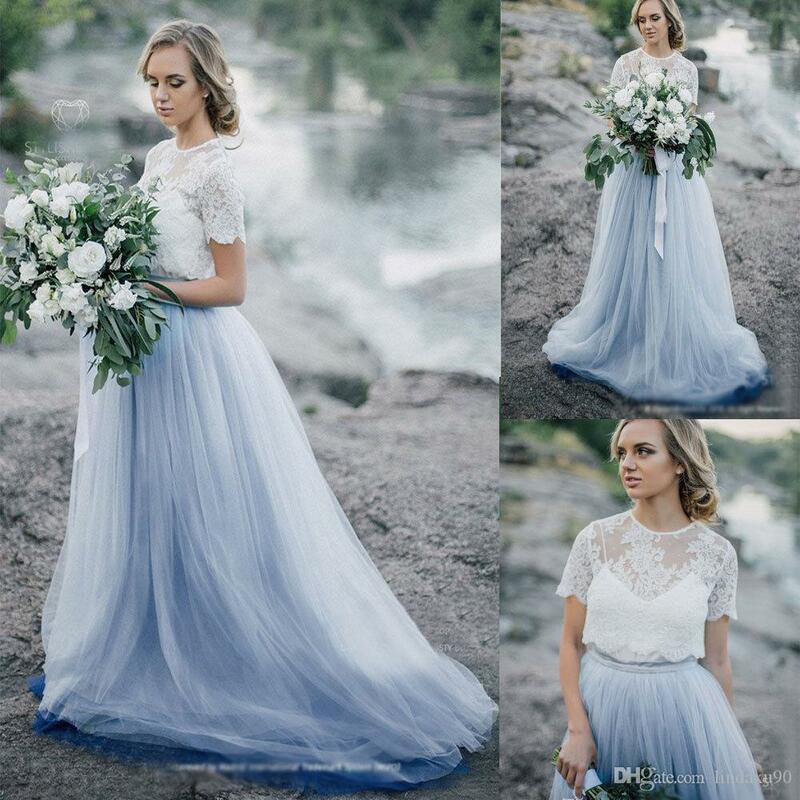 Mint blue wedding dresses are the modern go to style for a lot of summer wedding. One of the color that helps you to achieve cool princess look in summer daylight. 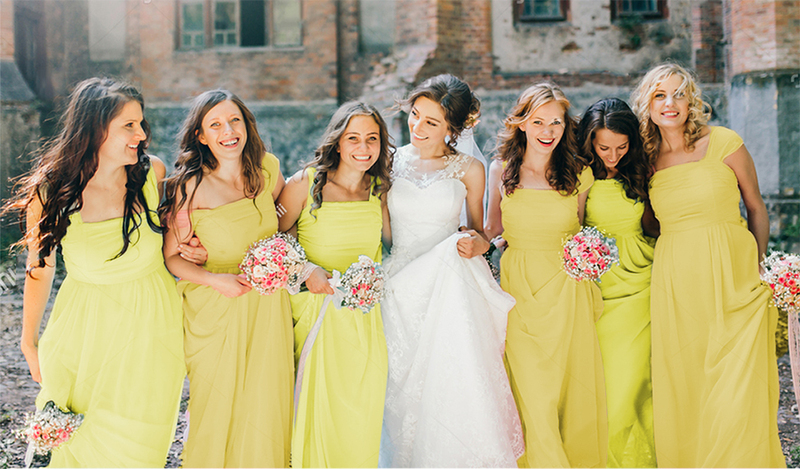 Summer wedding tea yellow color is perfect for creating a feminine and sweet bridal look as it is the color of warmth and dignity. The most traditional color of the wedding dresses, this color provides the ultimate classic bridal look and a choice for brides in all seasons. Charming light orange is also a great option for summer brides looking to show off their curves in a flirtatious way.